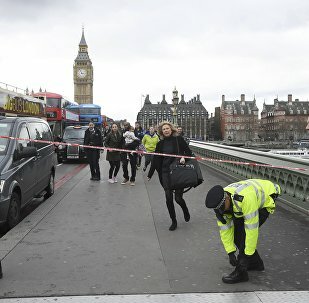 On March 22, several people were killed and many were injured after a vehicle drove into a crowd on London’s Westminster Bridge near the UK Parliament building. One man was later shot by police after he stabbed an officer inside the Parliament compound. 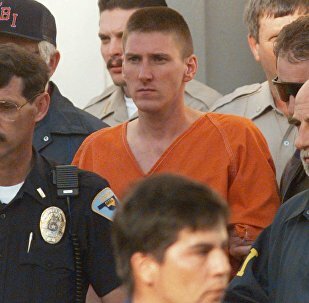 On June 2 1997, Timothy McVeigh was convicted for his role in the 1995 Oklahoma City bombing, an attack in which 168 people died. While commonly regarded as a "lone wolf" terror attack, there are significant questions over how "lone" he was. Moreover, there are many parallels between the bombing and May's Manchester attack. Scotland Yard reported that UK police have arrested another suspect in connection with the attack in London. London terrorist Khalid Masood acted alone, London Metropolitan Police said. The attack on the British Parliament is a terrible tragedy and a hideous crime. 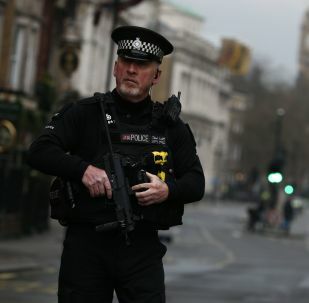 Two more people arrested following the Wednesday terror act in London have been released. 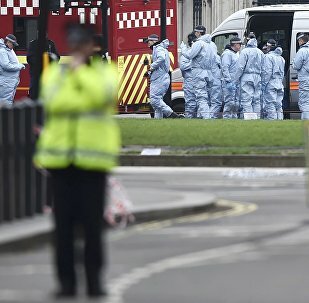 London's Metropolitan Police Service stated that six people, detained after the terror attack in London's Westminster, have been released from custody. 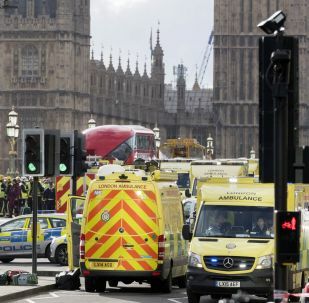 The Embassy of Saudi Arabia in the United Kingdom said that the perpetrator of the terrorist attack in London’s Westminster, Khalid Masood, had visited Saudi Arabia on multiple occasions in 2005-2009 and in 2015. Britain's most senior ambassador to the EU has said there is no such thing as "zero terror risk" in Europe and that it was no coincidence that the London attack came on the anniversary of the Brussels attacks last year. 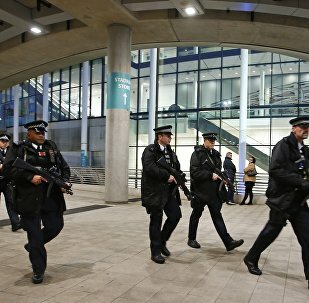 According to a poll, a total of 90 percent of UK citizens think that further terror attacks are likely to happen in the country after the attack in London, which is 6 percent more than in summer 2016. 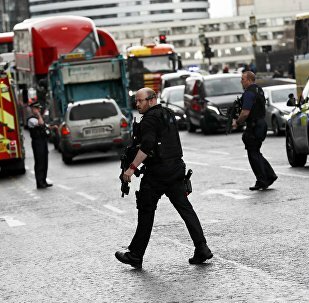 Scotland Yard announced that seven out of eight people arrested in connection with the attack in London were suspected of preparing terrorist acts. 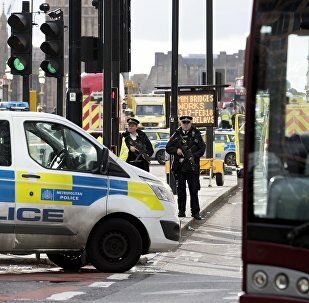 A candidate for the position of secretary general of the Organization for Security and Co-operation in Europe (OSCE), Ilkka Kanerva, on Thursday told Sputnik he fears that the deadly London attack targeting civilians may inspire similar acts of terrorism. US President Donald Trump expressed condolences on Thursday to the family of an American citizen, Kurt Cochran, killed in London attack. An American national from the state of Utah, Kurt Cochran, was killed in an attack near the UK Parliament in London, according his family's statement issued on Thursday. 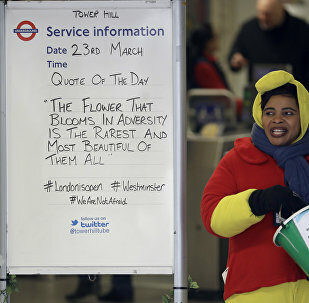 London Metropolitan Police said that the name of the Westminster attacker is Khalid Masood. 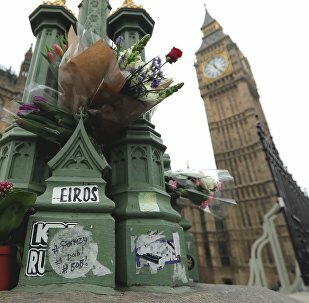 Daesh terrorist group has claimed responsibility for the deadly Westminster attack in the British capital, Reuters reported. 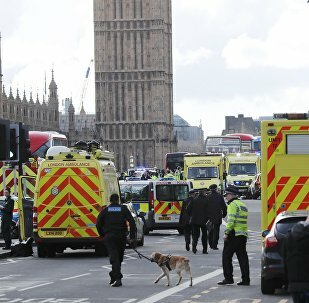 The recent terrorist attack in central London is unlikely to unite the international community in a common struggle against terrorism, since this phenomenon has almost become "a routine" for the international community, chairman of the Presidium of the Council on Foreign Affairs and Defense Policy Fyodor Lukyanov told Sputnik. UK Prime Minister Theresa May said that one attacker is responsible for the deadly Westminster "terror incident" in London.